Comments continue to stream in in reaction to this morning’s ballistic missile false alarm. It should be IMPOSSIBLE to send out that message by mistake. Whoever signed off a system that was “Press ‘A’ to send ‘this is not a drill’, press ‘B’ to send ‘this is a drill'” should be fired. Not reprimanded. Fired. They’re going to blame the … tech, but whoever IS RESPONSIBLE for “this is how we do it” needs to be fired. 1. That an alert could be sent out with only one person (anyone?) pressing only one button speaks to a major failure of logic and design. Why only one button. Why not two or three to confirm? 2. The the one or more “buttons” are pushed, should there not be an internal message saying: This is the message that will be sent, do you want to send it? (Even simple computers sometimes use this.) Were that the case, the control center would know immediately there was a mistake. 3. If for some reason a false alarm were issued, within less than a minute there should be a full on communication to all media that it was false, and obviously, no one thought of this. Today’s false alarm did not make sense from the get go. Nothing on TV. No sirens. No cascading sources of alerts. And this in the context of easing of tension in Korea due to North-South talks. However, the notion of how vulnerable ANY US system is to poor design and stupid errors is an issue, and I am thankful for this mistake to heighten our communications designs. Whoever sent the message out this morning must be held accountable! This is a serious incident, even if accidental! People were undoubtedly hurt because of this, and there were probably some fatalities due to heart attacks and traffic accidents. There will be an investigation into what happened, and they will blame a hack, a low-level tech who just made a mistake, or a glitch. Whether it was a hack by a malicious actor, intentional or accidental, what you need to be watching now is not the news about the chaos that ensued, but what memos, legislation, policies, etc., are pushed or promoted over the next weeks and months. In the words of Rham Emanuel, “Never let a serious crisis go to waste.” Will we allow this event to initiate the passing of rules an policies that would otherwise not have a chance? Even though I rolled over and went back to sleep after I saw the message, it did not mean I wasn’t concerned, but my concern was who sent the message out and why. We will probably never find out the whole story, but I encourage you to be suspicious and pressure our leadership to hold someone accountable. Now that many of you have been really scared for the first time in a while, watch out for what is coming down the pike from your State and local governments. And remember, what was done this morning was wrong, suspicious, and probably constitutes negligent homicide at the very least. 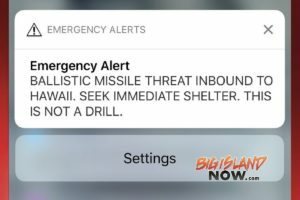 As you know there was a false alarm issued this morning about a missile launch heading toward the Hawaiian islands. 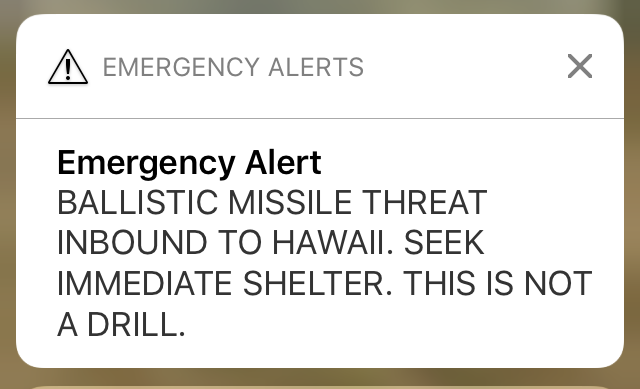 Upon hearing this message, all of the Po‘okula and security staff began securing their respective campuses students and staff, including boarders, athletes, admissions personnel, performers, coaches and others. 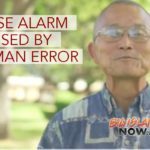 KS leaders and security staff across the islands worked quickly to keep students and adults safe by informing them about the threat and sheltering them safely at dorms and other campus facilities. We want to confirm our student and staff were kept safe. In addition, our boarding and athletic staff continued to monitor the situation until the “all clear” was issued. Needless to say this was a scary time for everyone; however, we are glad to know that the response of KS staff was efficient and effective to protect students and staff under our care. Campuses are open again and scheduled events are all proceeding as normal. We will keep you all posted if there are any new developments. The frightening part… we believed it, because our leadership has been so incredibly poor. The concern here is that citizens will now be conditioned to respond ineffectively in the event of a true emergency. Major fail. Sounds like some emergency official types need to be sent packing. If Trump pushes the big red button on this mishap, there’s no turning back. We want PEACE. 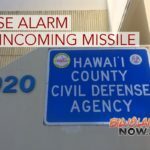 No, the statement they MEANT to issue was, “We cannot apologize enough for the costly mistake of issuing a false nuclear missile alarm to the citizens of Hawaii. We are looking into this matter and will ensure it will not repeat in the future.” You don’t just tell people to DISREGARD after all that mayhem. An apology is due IMMEDIATELY! I called my sis right away crying scared. I still cannot breathe have a knot on my entire body. This is totally unacceptable. They need to take this seriously. I hope they will track ER visits for cardiac events this week. Spoken from a 9/11 mental health provider, cortisol levels for the entire state just sky-rocketed. There will certainly be medical fallout that should be documented. I am extremely surprised how sporadic coverage was on the local radio and tv during the alert! In such circumstances, black out all programmed shows and set alert message(s) on repeat or switch to local news reporter! Sounds like a scare tactic. Someone’s head should roll. Wow that’s a big mistake! Appreciate you reporting the news as I couldn’t find it anywhere and no other messages came over our phone. Radio stations need a live body to make intercede recorded programming. It shows how many people are not prepared.